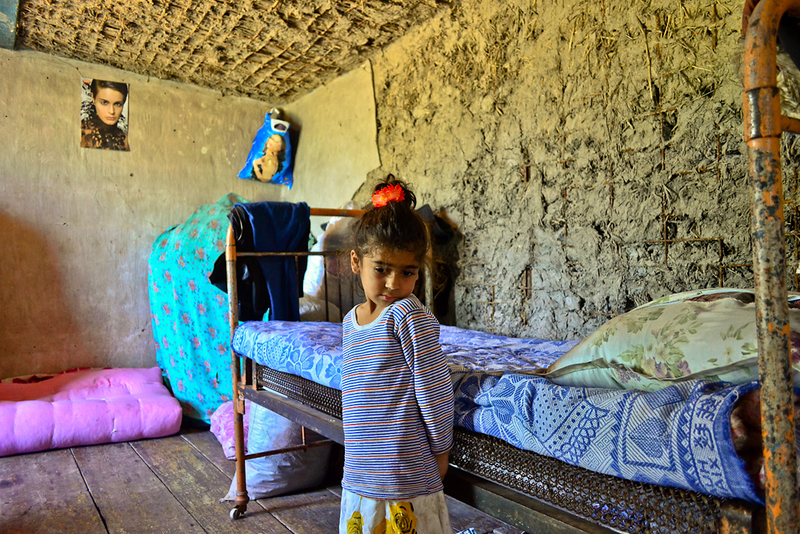 A girl continues to live with her siblings, mother and grandmother in a flood-damaged, single-room hut in Urajaly. 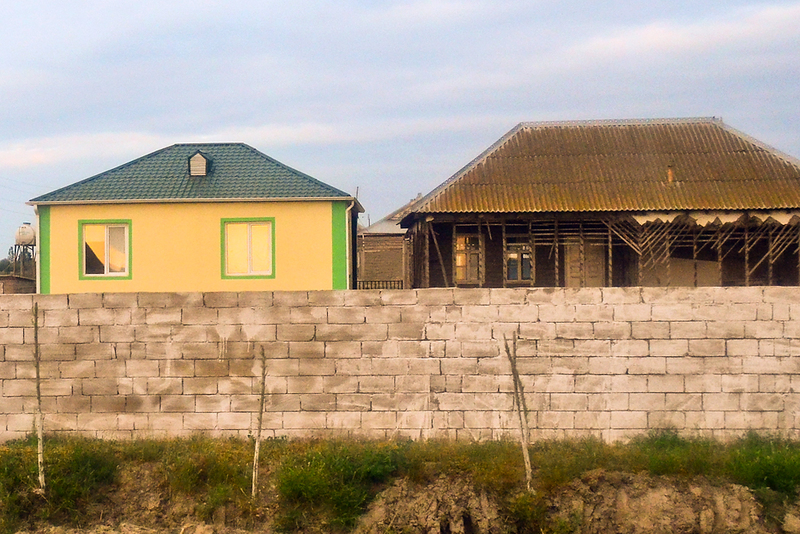 The government has built dozens of new homes in the villages of Gazembeyli and Jamalli to replace the damaged houses. 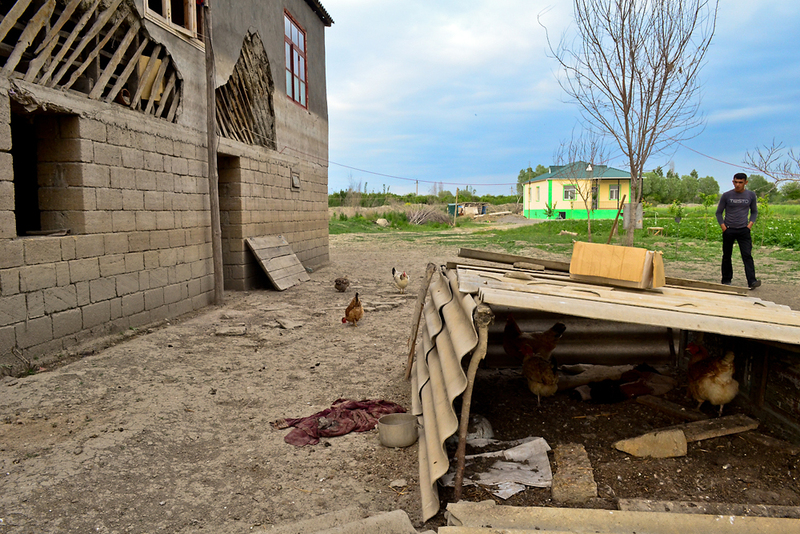 Many residents in Gazembeyli say the new homes have not been allocated fairly. 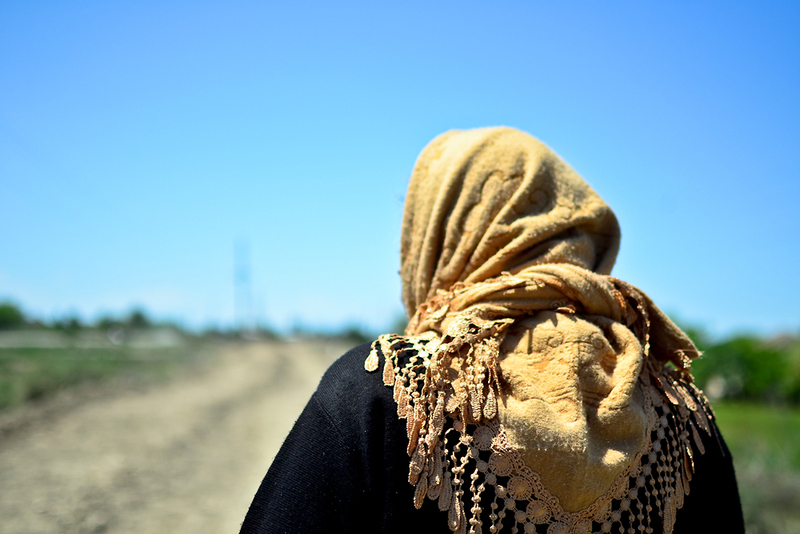 Many say life has begun to return to normalcy in Gasimbeyli, one of the hardest hit villages. The floods in May 2010 killed three people and left thousands homeless. 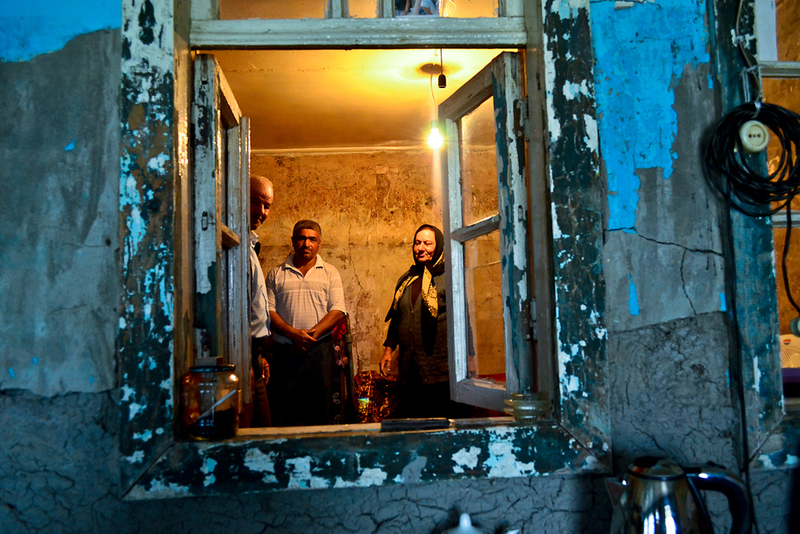 Rebiyen Melikov and her father, along with several children, occupy a single room that survived the flooding. 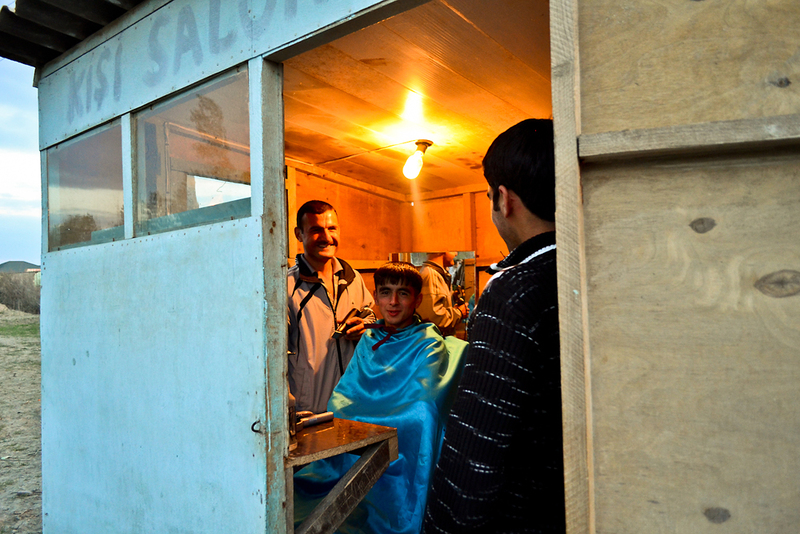 Sabirabad is a rural, conservative region with few jobs and where most people survive on subsistence farming. 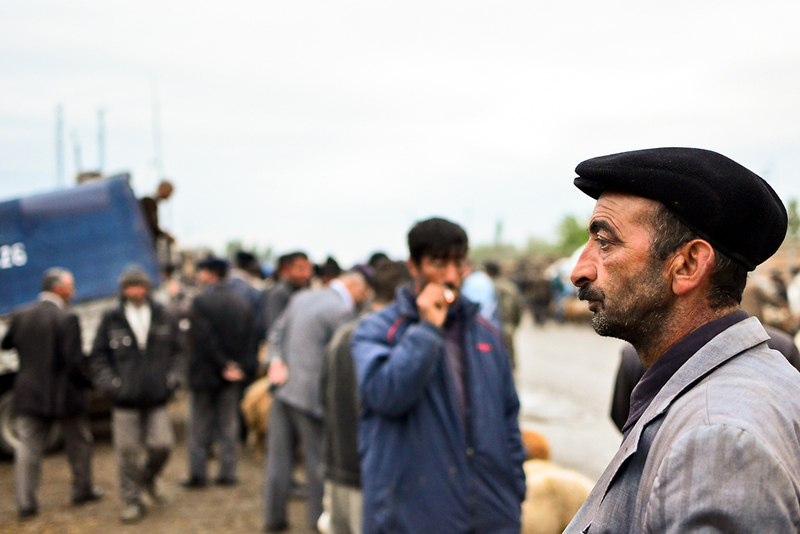 The weekly livestock market fills up by sunrise in Sabirabad. 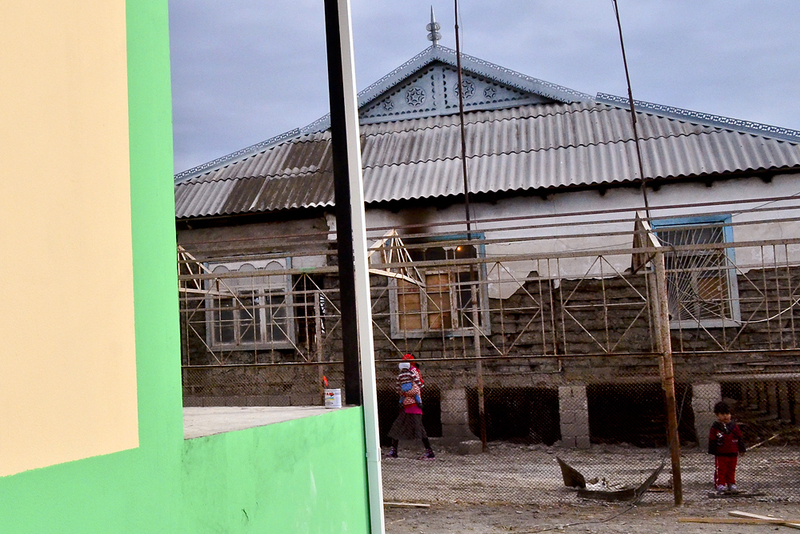 Despite the reconstruction, locals say the process is susceptible to local corruption. A government spokesperson said there had been some problems with local officials, but that reconstruction would continue. Dozens of villagers in Orajaly and surrounding areas expressed doubts about the transparency of the compensation process. 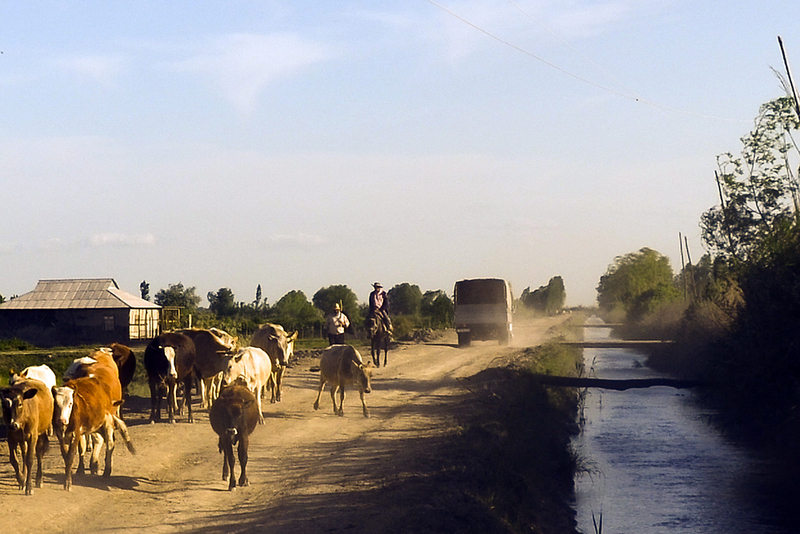 Sabirabad is a rural, conservative region relying on agriculture. Family items and furniture of one house still sit in the backyard. Thirty-eight new houses are nearing completion in Urajaly, but residents in the village say the new occupants remain a secret. Villagers still petition the local authorities daily with complaints and demands. Officials claim about $360 million has been spent on reconstruction and compensation along the Kura and Araz rivers. 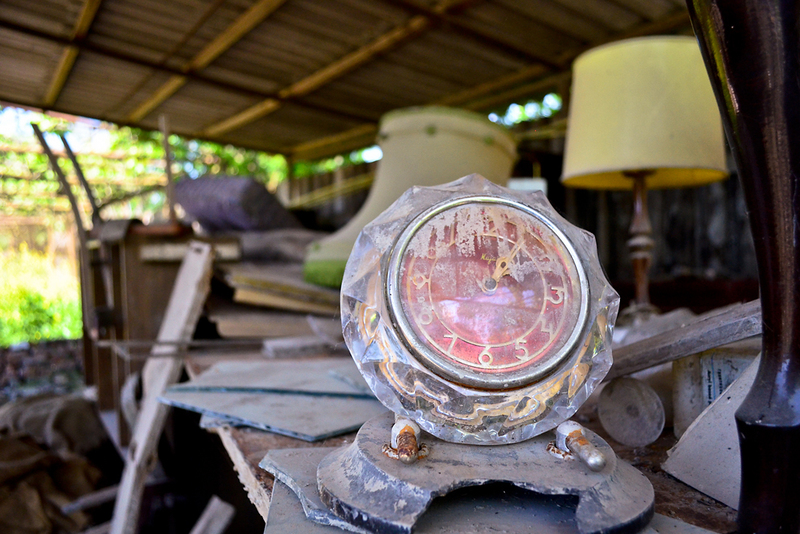 Many ruined homes are abandoned as their occupants have moved in with relatives. 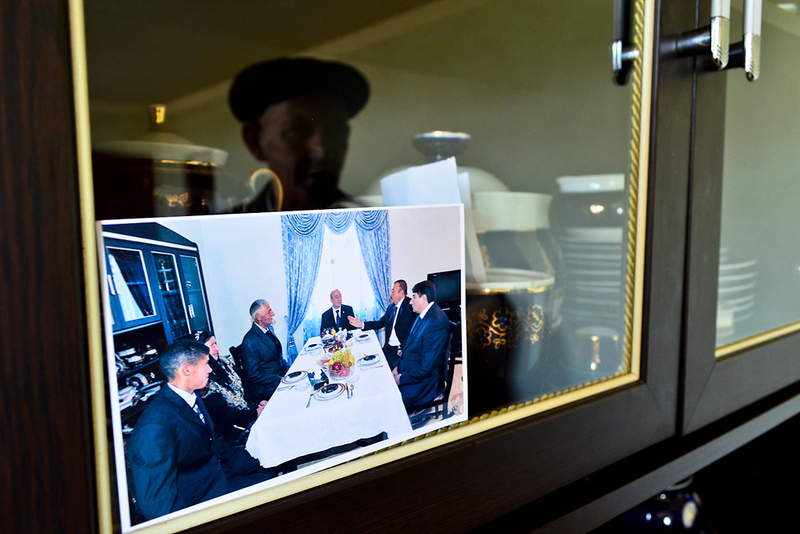 A photo in a newly constructed house in Shihlar shows President Ilham Aliyev and local leaders visiting the owners for dinner. 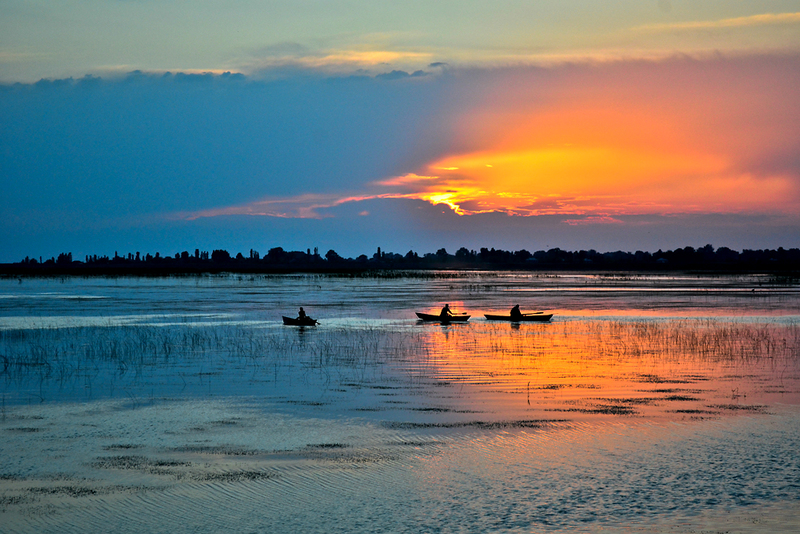 Fishermen row across Lake Sarysu, which borders Gasimbeyli - one of the hardest hit villages. First came the floods, which in May 2010 killed three people and left thousands homeless. Then came the flood of complaints about compensation. 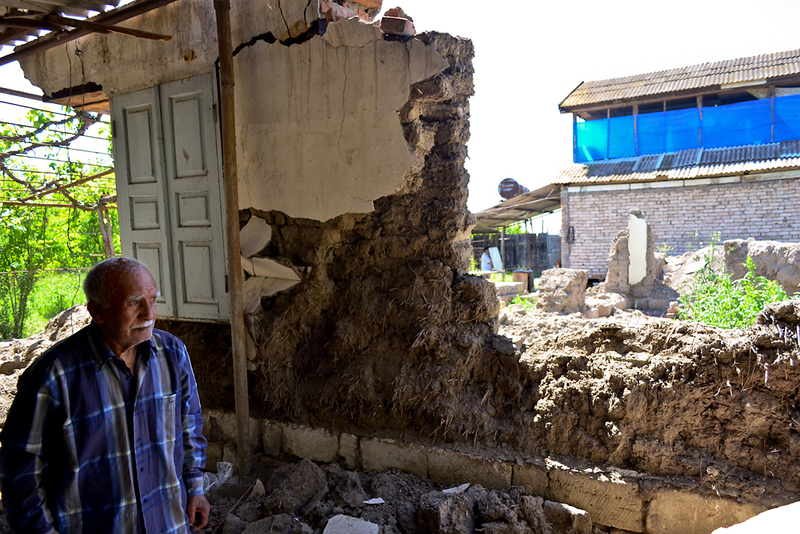 More than a year after central Azerbaijan’s Kura and Araz Rivers burst through dams, reconstruction of damaged houses and other buildings has begun, but, along with the work, plenty of local suspicion about who gets what and why. Green fields, newly rehabilitated schools and sturdy new houses now mark the landscape in Sabirabad region, one of the worst affected areas. 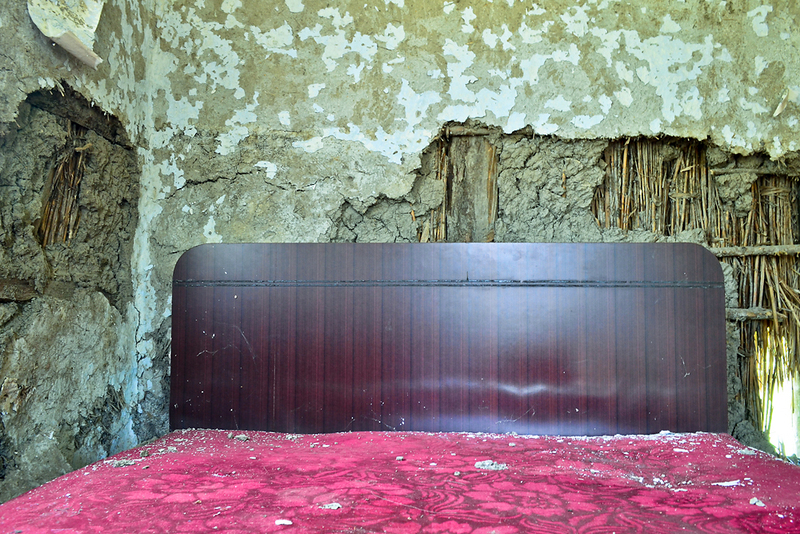 Officials claim that approximately 300 million manats (about $360 million) have been spent on repairing houses and infrastructure in the area as well as compensating thousands of victims of the flooding along the Kura and Araz Rivers. Dozens of villagers, though, still petition the local authorities daily with complaints and demands. Many complain that the government has not distributed the handouts evenhandedly. Sometimes, little apparent reason exists to explain the discrepancies. 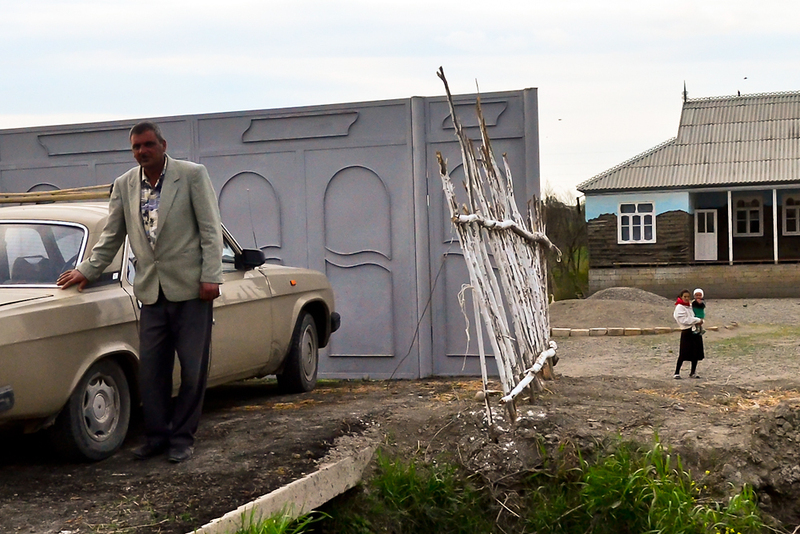 On one side of the main road in the village of Orajaly, over a dozen households questioned by EurasiaNet.org said that they had received from the government only one compensation payment of 100 manats ($120) per family head since the May 2010 floods. 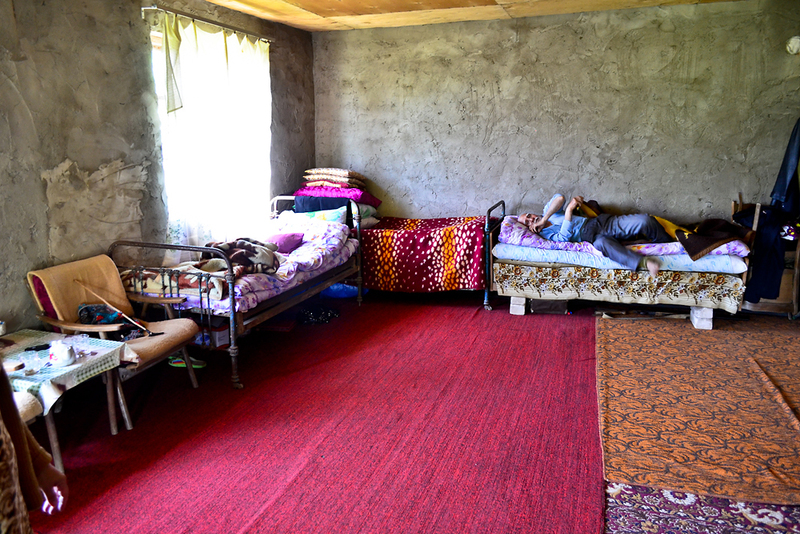 Most of the houses are down to only one or two inhabitable rooms. On the other side of the street, where houses are in better condition, the reported totals range from 1,000 to 1,500 manats (about $1,271 to $1,906). Safarov is not an exception. When out of earshot of local officials, dozens of villagers in Orajaly and surrounding areas expressed doubts about the transparency of the compensation process. Villagers in Gasimbayli tell a similar tale. “They built houses for those who don’t need them, and don’t build for those who do,” said one man as a crowd of about a dozen nodded in agreement. At a May meeting with villagers, a spokesperson for the Ministry of Emergency Situations conceded that there had been some problems with local officials, but asserted that reconstruction work continues on schedule. Some local officials reportedly were removed from office last year, although central government representatives will not comment about the reasons. 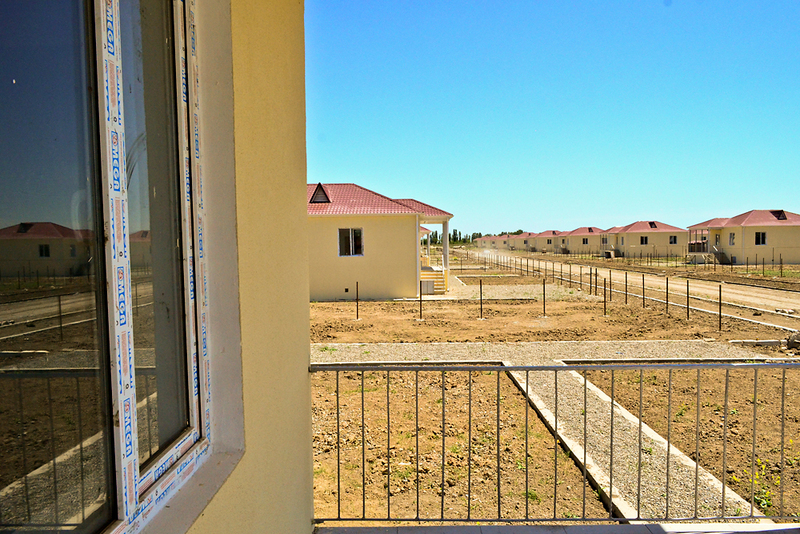 Ministry for Emergency Situations Deputy Minister Elkhan Asadov told a May forum with civil society members that the government has built 2,401 houses, the bulk of its goal of 2,714, Kavkazsky Uzel reported. 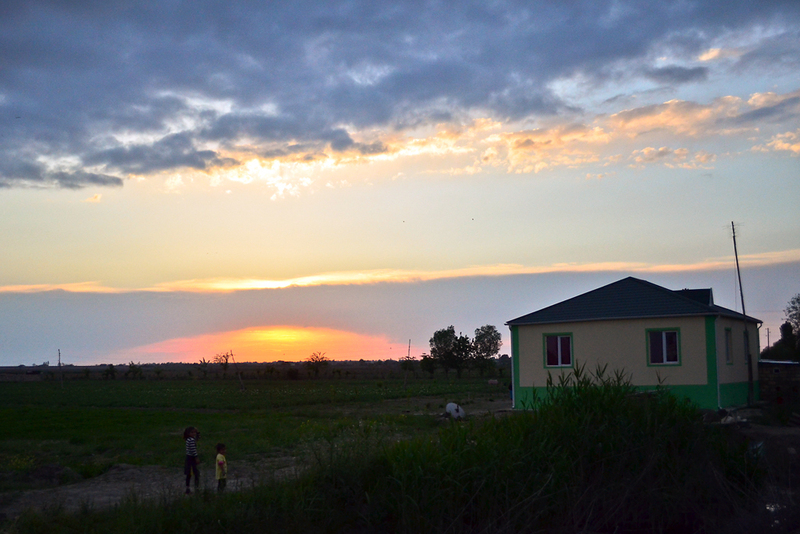 A 246-student school and “all necessary equipment” has been set up in the village of Gasimbayli, according to the pro-government news wire APA, while work is also underway on a 240-student school in a nearby village. With few jobs in the area, subsistence farming and a few seasonal cash crops form the bulk of the local economy. Villagers say they are still able to harvest potatoes and watermelons, but that their apples and citrus crops will only return in several years. The central government insists that preventing a repetition of the floods’ devastation remains a priority. Deputy Prime Minister Abid Sharifov told reporters in May that the government has begun work on building some 400 kilometers worth of dams the length of the Kura and Araza rivers as well as various mountain rivers, APA news reported. “The question about increased water levels and threat of flooding is at the center of attention for the government and, immediately, for the head of state. For that reason, I don’t believe that flooding can happen,” Sharifov confidently predicted. 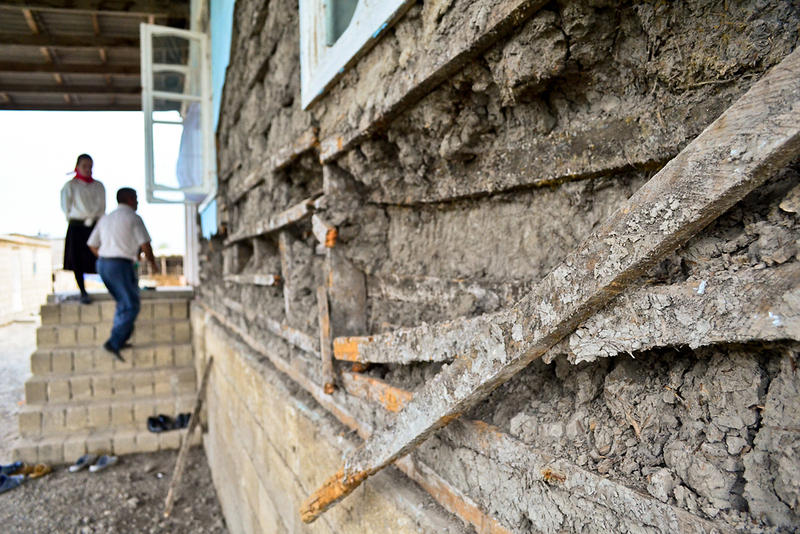 The chance that such predictions could prove true is nearly all that’s left for one elderly woman living with five other people in a two-room, water-damaged hut in Orajaly. “We hope and we wait and we hope,” she said. Vladic Ravich is a freelance journalist based in New York City.